Isn't it funny how certain smells, places, sounds, songs etc.. can bring back such vivid memories?? We just received Adventures in Odyssey's latest audio drama, " Up in the Air" ( 6 Stories of True Friendship and Reconciliation) it brought me right back to long car rides with my family across the United States! That was back in the day when we put the station wagon seats down in the car and slept while my Dad drove and we used cassette tapes! Boy, am I getting old!! I actually still have those old Adventures in Odyssey cassette tapes and my kids have listened to them as well!! I remember driving to Colorado on one of our family trips, where Focus on the Family is based and buying the tapes from their bookstore! Cool, huh!? Some things never go out of style, like good clean entertainment and Christ and Bible centered stories and lessons! I received a copy of this Adventures in Odyssey CD and was compensated for my time in exchange for my honest review. All opinions and thoughts are uniquely my own! I cherish those memories with my family and am so excited that I can now share part of my childhood with my kids. It's no surprise that Adventures in Odyssey is still going strong with such quality stories and characters! A lot has changed in the little town of Odyssey since I was a kid but the moral stories of friendship, courage, forgiveness and love haven't! As a mother and homeschooler my days are filled to the brim. My days often start with listening to Focus on the Family as I drive to my boot camp in the wee hours of the morning. I love soaking up the wisdom of the guests that they have on. I will take all the advice on parenting, marriage and relationships I can get!! When I get home my days don't stop and not only do I have to multitask but I even try have my children make the most of their time also. One way we have been doing that is during our meal and art time. This week I put in " Up in the Air" and the kids and I enjoyed listening to it while we ate and while they colored. What a great way to make the most of our time! This Audio drama starts out hilariously as Wooten comes back from his honeymoon but is missing his new bride, Penny! It turns into a crazy adventure as Whit, Connie and Jason try to put all the missing facts together to figure out what happened to Penny! All the stories in this volume are about True Friendship and Reconciliation. I think all of us can agree we deal with these same life issues that these characters are dealing with, and need daily reminders in any form to point us to Jesus and applying these qualities to our lives! The kids and I always get sucked into these extremely well made stories and feel like we are being taken along for the ride on these adventures and mysteries! Not only are these audio dramas entertaining but they are educational as well as they incorporate important life lessons that we all can learn from; young and old alike! We have been trying to make this series last as long as possible. It really is a treat! This volume contains 6 stories that I know we are going to want to listen to over and over again! Listening to audiobooks, dramas, music and stories and programs is one of my favorite ways to be uplifted, edified, entertained and informed while doing mundane tasks! Not only do they make these chores that need to be done more enjoyable but I actually look forward to them now! 1. Listening to worship music or podcast (here's a great one)while do the dishes or folding laundry or cleaning. 2. Reading out loud to my kids while they color, paint or draw. 3. Listen to worship/ praise music while I run/ walk. 4. Playing soothing music while we do school. 5. Playing some fast fun music to get my kids excited to clean and also set a timer! I hope these tips were helpful to you if you have been trying to make the most of your time also! Finding ways to make our everyday tasks more enjoyable and educational doesn't have to be more time consuming or complicated! It can be as easy as turning on the radio or putting on a CD! I never get tired of gaining wisdom and encouragement from those who have paved the way before me and applying them to my life! I have about 5 books on my night stand that I am constantly picking up and a list of programs and podcasts to listen to as I need an extra dose of inspiration to get me through the day! What are some ways you like to multitask? Did you grow up listening to Adventures in Odyssey? I would love to hear! Be sure to enter Focus on the Family's giveaway! They are giving away 30 of these CD's!!! ( U.S. Residents only! When it comes to writing, my boys aren't usually jumping up and down with excitement. Instead they tend to start whining and complaining about how it's too hard and they can't think of anything to write. I have been on a mission this year to get them excited and interested in writing. Not only do I want them to realize how essential it is for the rest of their lives, but I want them to find enjoyment in it also, as they pen their latest adventures and write about past memories. 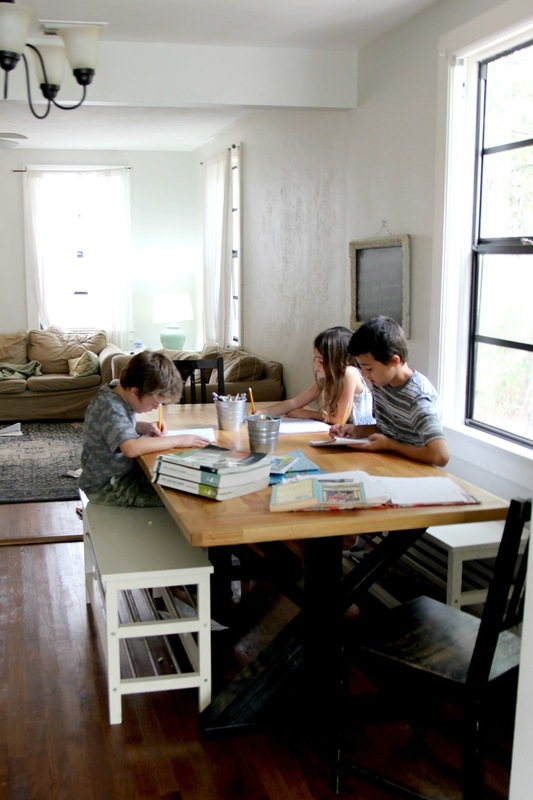 Last year my boys came to look forward to writing as they gathered with their cousins( who are homeschooled as well) to write a different story each week. They loved it! And actually looked forward to sharing their themed stories each week! They gained a little bit more of an interest in writing through our story time each week but I knew they needed a better foundation if they were ever going to go beyond writing about pooping and farting. What can I say, my boys are just goofy, normal boys! Just look at these pictures! Ha! I started looking for a writing curriculum or program that would help us in this area, when I came upon the opportunity to check out Apoligia's Writers in Residence student text and workbook. We have gotten through most of the first unit and are already learning so much...together! I love that I can incorporate both of my boys who are in 5th and 7th grades respectively. I try to lump them together whenever I can and this program has been working great in helping me kill 2 birds with one stone. ;) Because Volume 1 is focused on 4th grade and up, and is geared towards teaching multiple children at different grade levels, it was perfect for us! I also love that the program stresses to tailor your expectations to each child's learning ability and to challenge them, but not overwhelm them. We started off in Volume 1 by being introduced to some great Christian Writers and gaining some encouragement in writing from them. Then we went on to learn the 6 Traits of a writing model and introduction to the writing process. There are 6 Units in the whole book, which each focus on ways to help your young writers build an important foundation in language arts to be able to write easy to read, cohesive stories that get their readers attentions. At first glance of the thick book, I was a little worried it would be too detail oriented and I would have to put a lot of time in to understand how to use it with my boys, but I have to say that it has been so easy and uncomplicated! Everything has been so concise and well laid out. Pretty much open the book and go! Like I said earlier, I am all about condensing as much into one subject as possible. 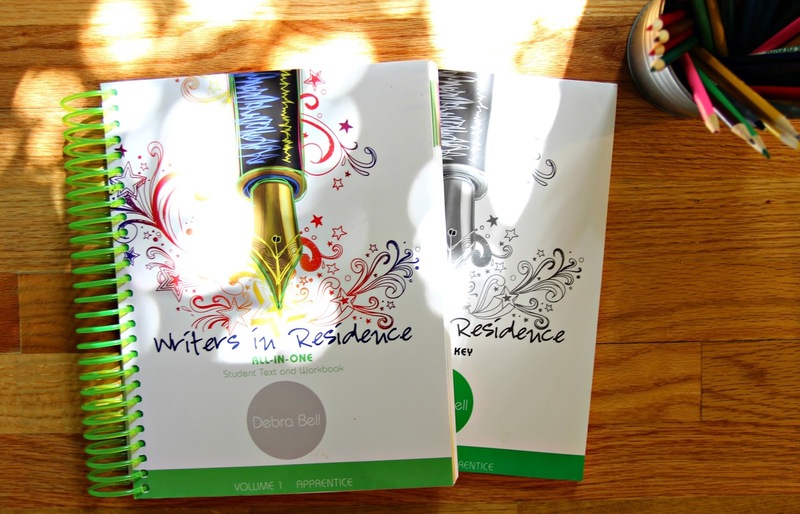 So I absolutely love that Writers in Residence is a writing- focused language arts program! Language Arts and Writing all in one book!? Count me in! Not only are my boys gaining the important skills they need to be able to write well in their everyday lives, but they are also being prepared for the heavy writing that comes in high school and college. Each lesson has been so helpful in challenging my boys to go beyond their "normal" vocabulary and dive into new words, ideas, and creative techniques in writing, while also making it fun for them! If you have been scratching your head trying to figure out how to get your boys or girls on the path towards understanding and enjoying writing, I want to highly recommend Apologia's Writers in Residence to you! Not only are my boys learning so much, but as I am finding with so much of homeschooling; I am learning as well alongside of them! 2. Can be used for 1 or more students and at different grade levels. Also great for Writing Groups and Co-ops. everything you need to give your students a comprehensive understanding of the importance of writing without all the guesswork and stress. 4. Uses realistic writing tasks that students will use in their everyday lives. 5. Has an apprentice log which gains them points that they can redeem for an award. 6. 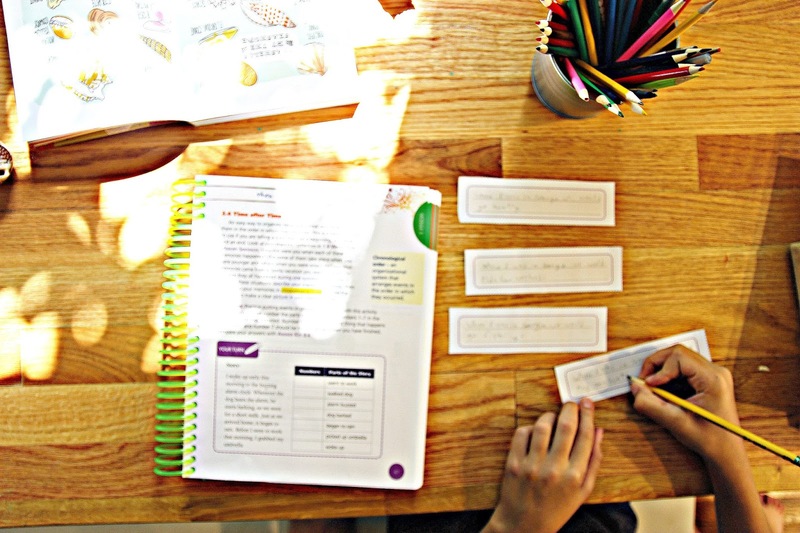 Incorporates Language Arts, Grammar, Spelling, Vocabulary, Writing and so much more in one curriculum. Win!! 7. Focuses on motivating students so they are actually paying attention. 8. Gives them instruction in each lesson that has real purpose and is immediate and relevant to their lives. 9. WIR takes students on a journey as novice apprentices and teaches them to use the tools of their trade to eventually become a master craftsman of words. 10. Apologia is Bible based and encourages students in knowing that "God wants them to find pleasure in using their creative gifts!" As we have begun to use Writers in Residence I am finding my reluctant students are much more eager to begin our lessons and instead of dreading writing they are starting to enjoy it and understand the importance of it. I hope sharing my insight will be helpful to you if your head is swirling in a sea of curriculum; wondering which one to choose. I also hope this will help your students gain the tools they need to be creative writers and get out of the rut of ho hum and/or stressful scenarios of frustrated teachers and students. 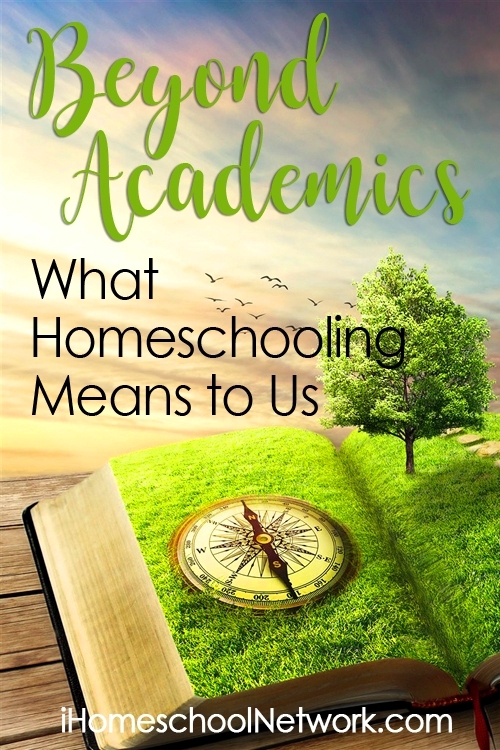 There is no foolproof curriculum and magic answer to what will work for each of us and our children, but I know I sure love hearing what works or doesn't work for other homeschoolers as I consider my choices and try to make educated decisions for my children's education. 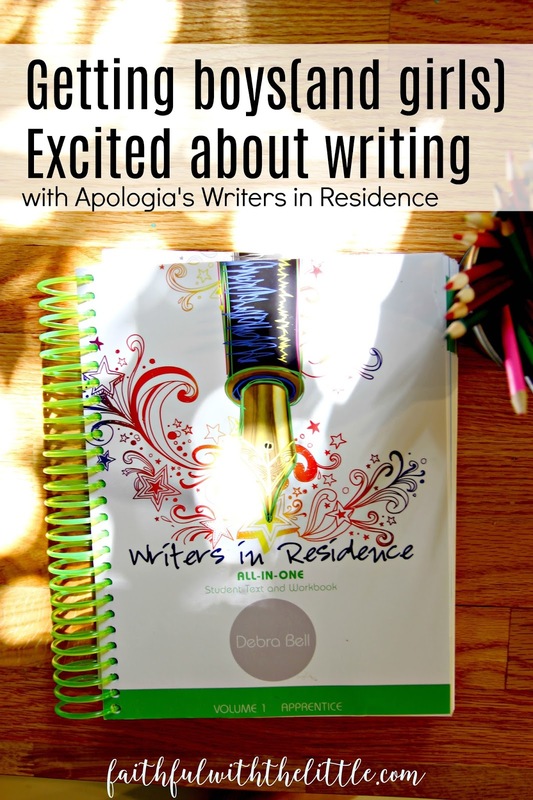 Have you used Writers in Residence or anything else from Apologia? The summer heat is descending upon Florida and that "Oh yeah, I forgot summers are like living in an oven here," feeling... is back. Somehow I keep tricking myself into thinking summers in Florida aren't that bad. But then when summer arrives, I remember they aren't that bad, as long as you either stay in the water or stay inside... in the AC! Although the humidity is off the charts, my skin can still get so itchy and dry from the heat and being out in the sun for long hours at the beach. The combination of sun and sand leaves me always reaching for my homemade moisturizing body cream. I lather it on my face in the mornings and all over my body after I get out of the shower. 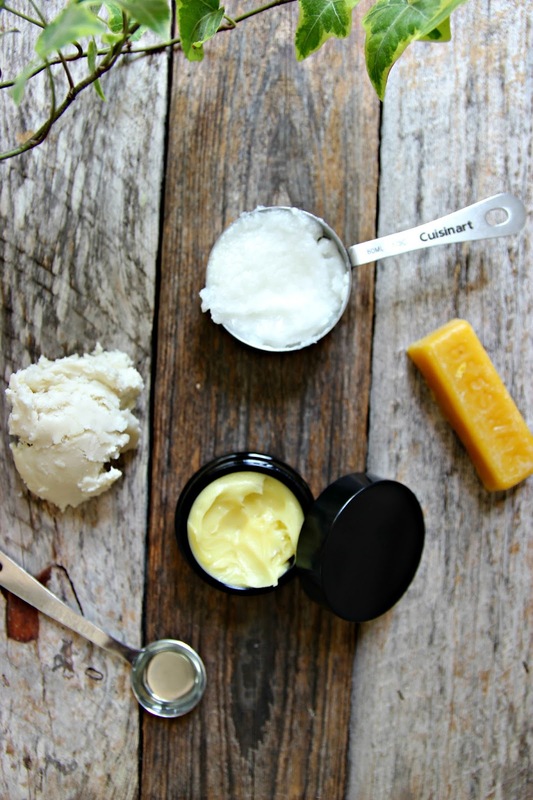 I love the simplicity of the ingredients and knowing that they are all really good for my skin. And as the title says; it really is silky, smooth and moisturizing! 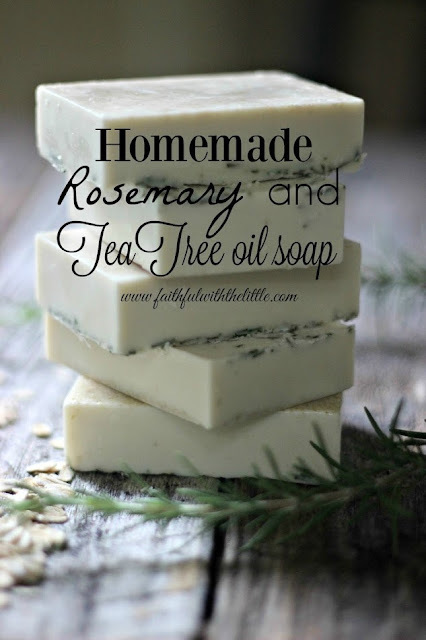 I started experimenting with homemade body products a couple years back and love how you can mix and pour until you get what you are individually looking for in a product. Since I always have a baby on me, I am not the only one wearing the body products I put on. If you have a baby, you know what I am talking about. I can't tell you how many times my husband has come home and asked if Grandma was here, because he smelled her perfume on the baby. 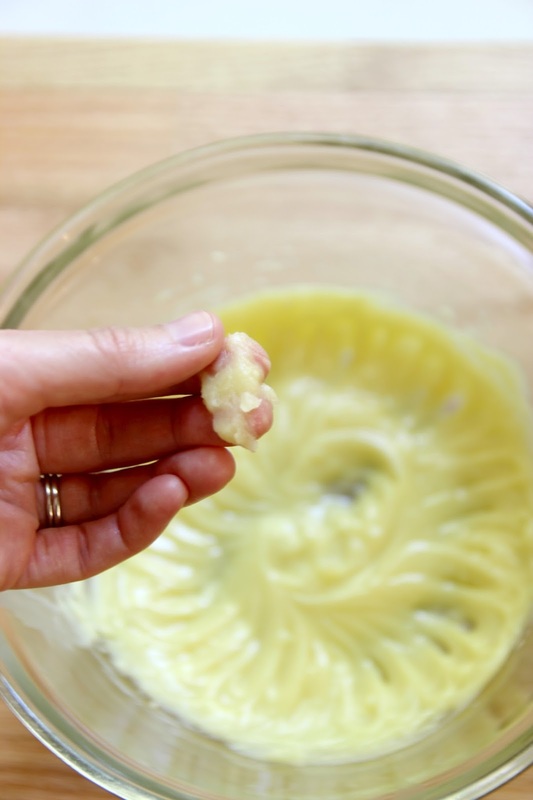 This concoction is super easy to "whip" up and if you have ever made any kind of homemade body product you probably already have these ingredients on hand. If not I will give you the links to where you can get them. 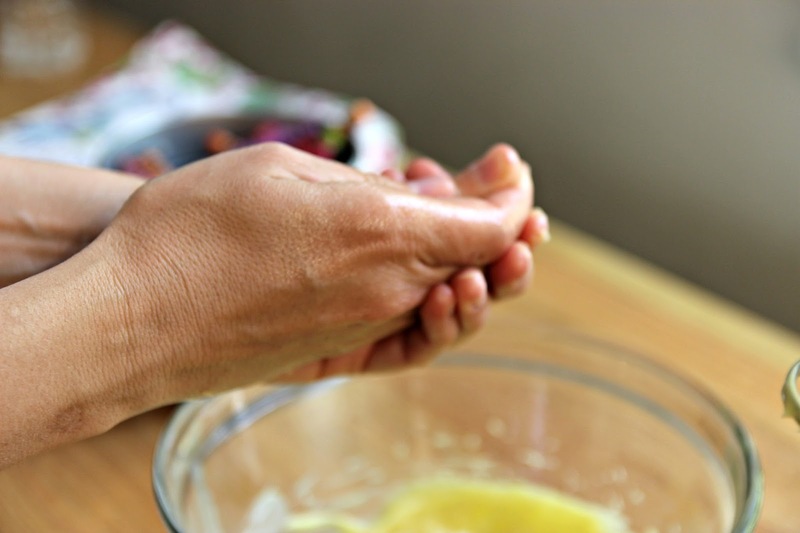 Not only am I sharing this great lotion "recipe" but I am excited to share what I am using to put it in! 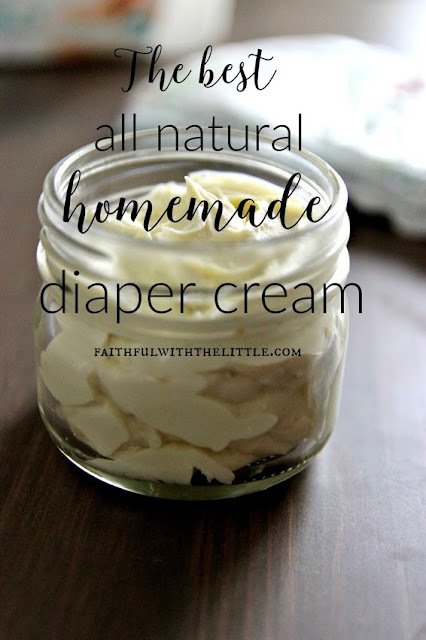 Since I am sharing a lotion with natural good for your body ingredients it only makes sense to put it in a container that is good for you and your home as well. I have to admit that I have always just used what is cheap and easy, cause I am just lazy, but over the past couple of months I have been investing in better storage options for our home. When Infinity Jars approached me to try their products, I was a little skeptical. What was the big deal? Why were these jars so different? Since using them over the last several months I have found out! Not only do they preserve the freshness of whatever you put in them, but they also block out harmful light rays while allowing infrared and UV-A rays. Here is more of the science on these jars if you want more information. Since they are glass I was worried that we would break them with the way we destroy everything around here, but I am glad to say that I was proven wrong. 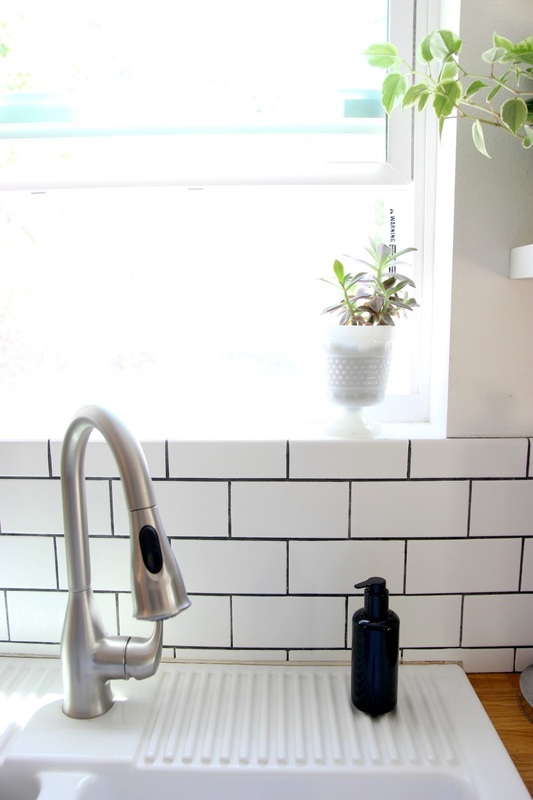 I can't tell you how many times I and the kids have dropped our Infinity Jar soap dispenser and oil bottle glass jars in our ceramic kitchen sink and they have come out unharmed, without a scratch on them; truly remarkable in this household! They are indestructible! Which I really can't say for much in our house! I was given these Infinity products in return for my honest review. All thoughts and uniquely my own. They might be priced a bit more then I would normally pay, but I can honestly tell you I would have already had to spend just as much or more on replacing jars that we would have had to buy over and over again from breaking! And I love their sleek and simple design! Okay, okay on to the lotion! makes enough to fill 3 50 ml.jars. Or 1 1/4 c. or about 5 oz. 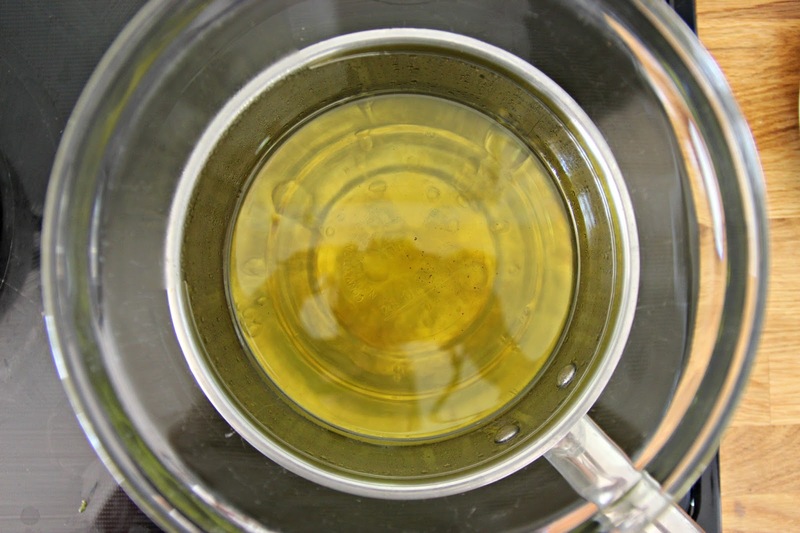 Double Boiler- I just use a pot filled half way with water and a heat proof bowl to put on top. Heat pot with water to a simmer and place heat proof/ glass bowl on top. Put all ingredients in and mix once in awhile till melted. Once melted let cool at room temperature or in the fridge to cool faster. ( I put the bowl in the fridge on a towel, cause I have no patience) Once hardened use your mixer to whip ingredients. ( my whip utensil broke but my other one worked just as well) Once whipped, make sure to store it in a airtight container and place in a cool, dry place. If you leave it in a warm place it will melt. That's it! This stuff goes a long way and will last you the whole summer, even if you use it every day. It also makes a great belly balm. I lathered it on my belly my whole pregnancy. You might notice I don't include any essential oils but you are welcome to use whatever oil scents you like. 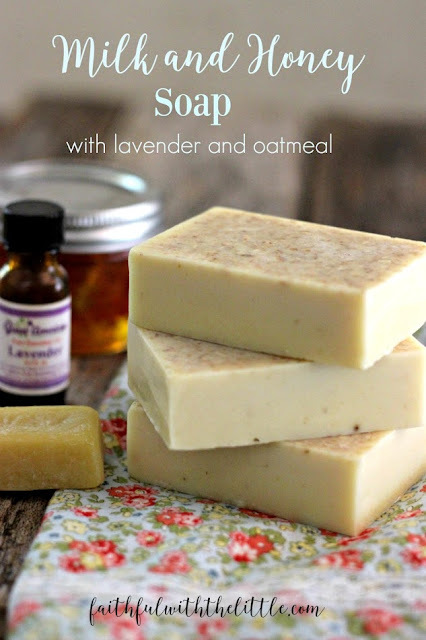 Although I love essential oils, I kind of prefer the simple smell of the ingredients to shine. 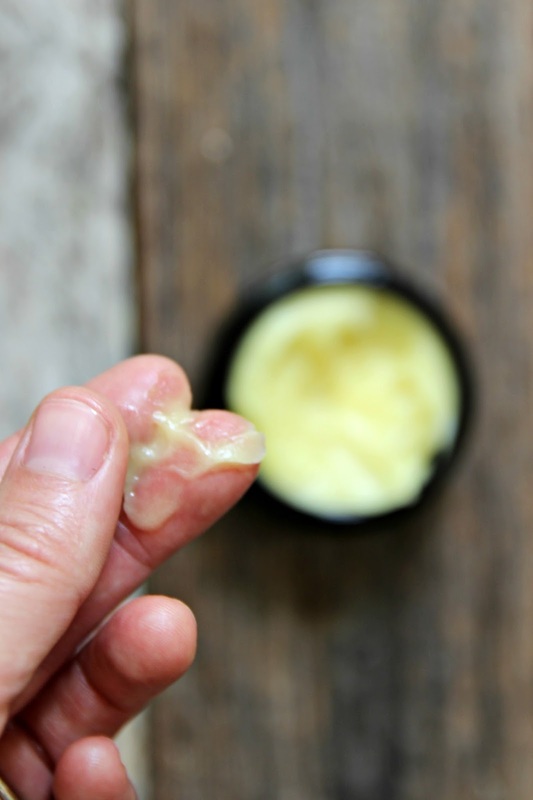 Also, when you first put it on it might seem a bit greasy if you are not used to homemade lotion, but it only takes a few moments for it to seep into your skin. So just give it a chance before you rule it out. Infinity Jars is generously offering $30 off coupon to one of my readers! All you have to do is subscribe to Faithful with the Little---> Here! and leave a comment that you subscribed! You can also enter through my Instagram account--->Here! Where there are further instructions there! The giveaway will start 5/29/17 and a winner will be randomly selected on 6/6/17! 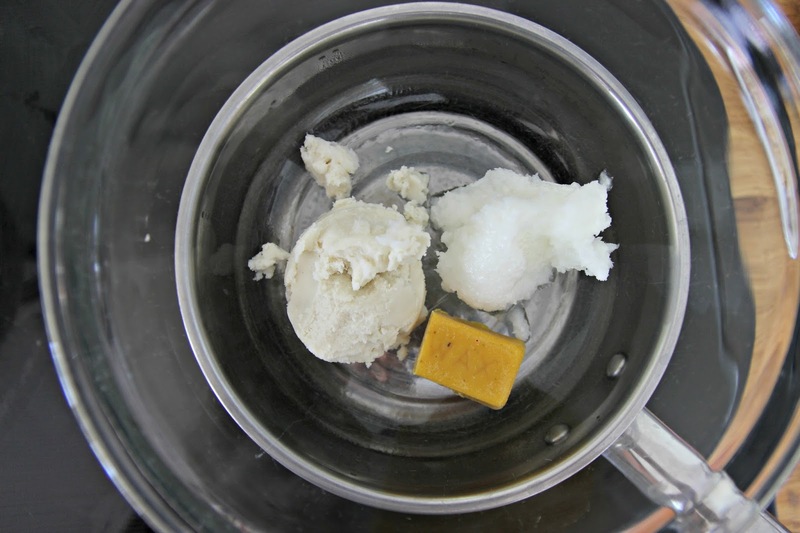 If you are afraid of making your own body products, this is the recipe for you! If for some reason it didn't turn out as you want you can always remelt it and add more ingredients to get it to your liking! 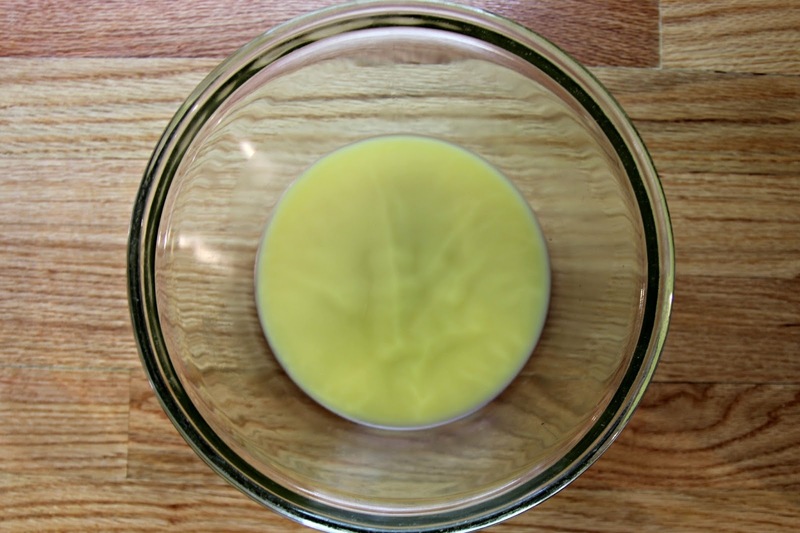 I recently ran out of my supply of lotion, so I am glad I finally made some more, because I haven't found anything store bought that compares! And it looks so fancy in my new cosmetic screw top Infinity jar, that will pretty much last me forever! 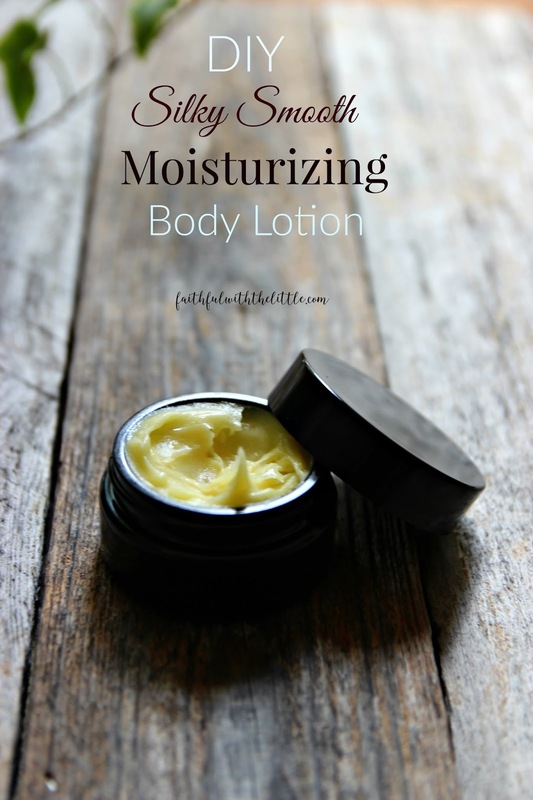 There are so many great uses for this lotion! Like I mentioned earlier it is great for pregnant belly's to prevent stretch marks and keep your skin tight and supple. 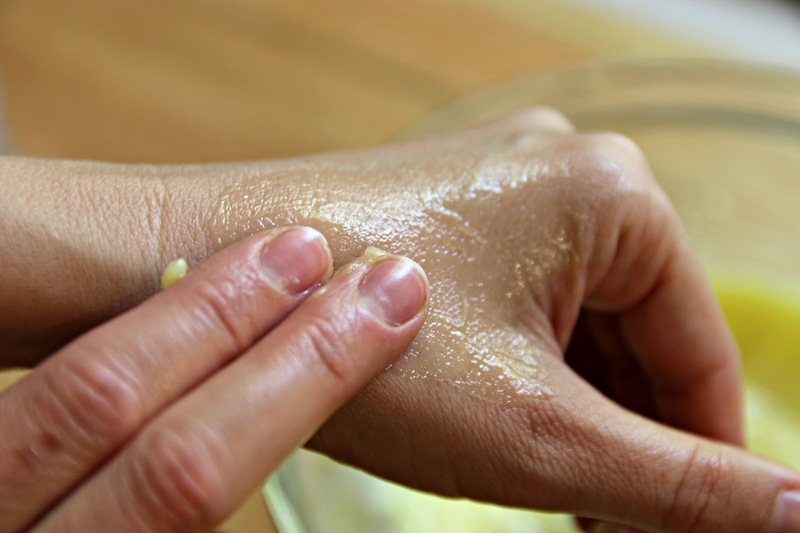 It is also great for eczema and psoriasis sufferers as well as those with sensitive, dry skin. And... it also makes a great makeup remover when used on a cotton ball and protects from the sun! 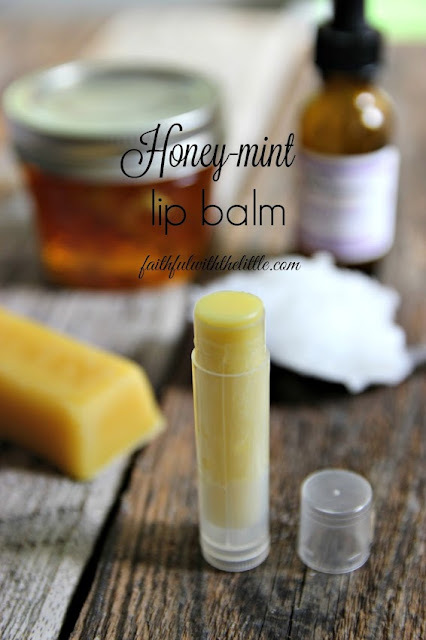 You can't go wrong using this for every part of your body and as you saw it is so easy and inexpensive to make! 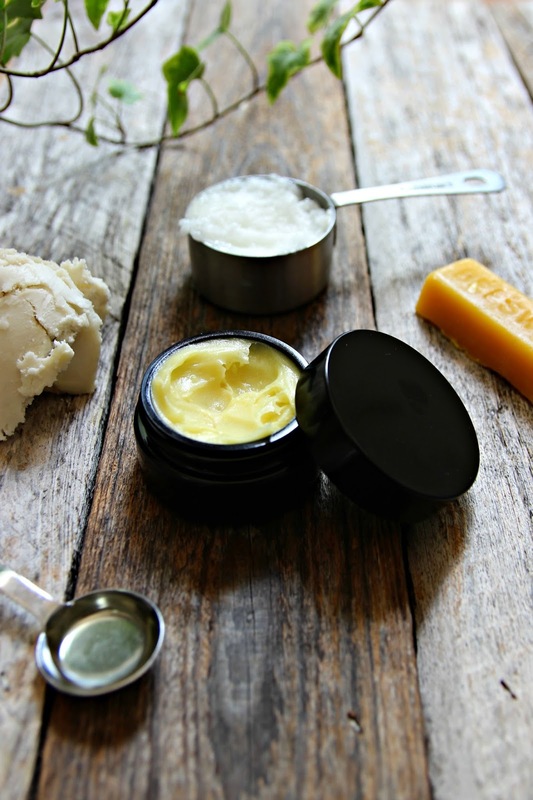 Do you like making your own body products? Have you gotten on the glass container bandwagon? Be sure to check out these other great DIY posts! As a busy homeschooling mom, you can be sure my days start early and end late. I love that my days are full but it can be very overwhelming also. I start to do one thing and end up doing 10 different things in between before I finish what I started to do in the first place. So many days I find myself forgetting an appointment, party, or sending out a bill, because my head just can't hold all the things I need to do in my head. My brain is not good at functioning when it is filled to capacity. As we all sit down at the dining room/school table to start our school day; I have my homeschool planner in front of me to keep track of all that we need to do and log in what we did that day. I have a regular planner also but it often gets neglected and I forget to look at it. I have been trying to figure out a better way to simplify and combine my planners and I think I found it! I made a daily planner page that can go right into my homeschool planner so I can look at our school schedule and everything else I need to do at the same time. And since I open up our homeschool planner everyday I will be sure to look at it! I am really excited about it!! I tried to think of all the things that I want to be able to incorporate in a daily planner. There is a to do list, a place where you can jot down a verse or quote to focus on during the day, a spot for those things you can't forget, an ideas and notes area and even a menu planner!! I have a feeling that if your days are anything like mine you might appreciate my idea also, so I am offering it FREE to all my subscribers! All you have to do is go sign up HERE! And after you sign up you will be taken to a landing page where all my free printables are!! 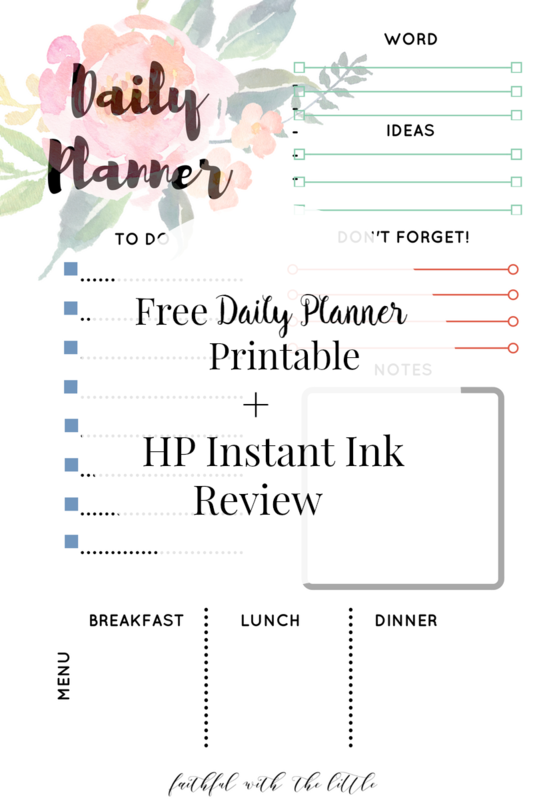 ( and if you are already a subscriber the link will take you to the free printables once you enter your email) Just click on the Daily Planner link and you will be able to download it right to your computer and print it out at anytime! ( Make sure to put it on the setting "fit to page")So far I am loving having my homeschool planner and daily planner combined! Anything to make life easier and less complicated! And best of all you can print it out in the convenience of your home, right away! I have been having a lot of fun making my own prints and printables for our home and homeschool. Links on this site help support our home and homeschool! Since starting to homeschool we have relied heavily on our HP printer for printing out amazing resources. Most of them which are free! The ink on the other hand is not, and tends to get pricey. I can't imagine not having a printer. We use ours almost every day! It's so convenient to be able to print out page after page of beautiful prints, my homeschool planner, and now daily planner page, worksheets and tons of crafts and cutouts. It can be frustrating when I am in the middle of printing something, that of course I need right away, only to find out we are out of ink! I am sure you run into this problem also. I recently signed up for the Hp Instant Ink program and it has revolutionized the way we print! With the Moderate Plan that I have, I get to print 100 pages per month. When you sign up for the program with your wireless HP Printer, your printer will tell HP when you need more ink! One less thing to do! Before you even know you are running low on ink, it will be shipped right to your door! I am all about getting things delivered to our home! Anything to save me some time and make my life easier! I get diapers, pencils, cleaning supplies and even paper shipped to our house. It's the best! For some reason it is so much more exciting to get a box waiting on your doorstep than having to go to the store and buy it; not to mention easier! The way the program works is that instead of only being allowed a certain amount of ink per month you are allowed a certain amount of pages per month. I get 100. I can print full color, black and white, whatever! Which is so great because sometimes we need to print pages that require a lot of ink and before we know it, we are out of ink. This optimizes the way you print! Because some months we might not print a lot of pages but still use the same amount of ink. All unused pages roll over to the next month! 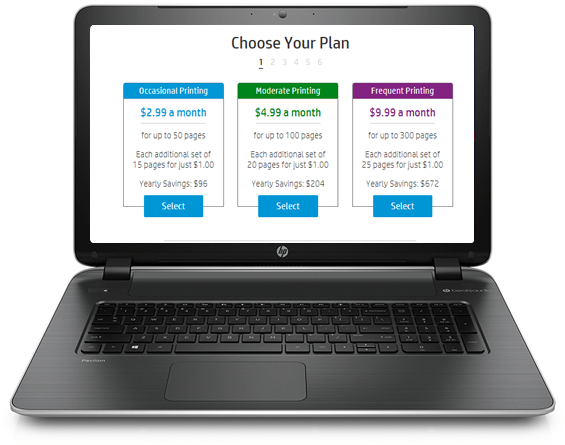 And if for any reason the program is not working for you, you can cancel your plan anytime. The ink cartridges are larger than the normal ones so you don't have to replace them as often. I also really like that they give you postage paid return packaging to recycle your old ink cartridges. You can check here to see if you have an eligible Hp Printer already. I wish I knew about the HP Instant Ink program a long time ago. But now that I do I am so excited to be sharing it with you because I really believe it will help save you time and money, especially if you use your printer everyday like we do! 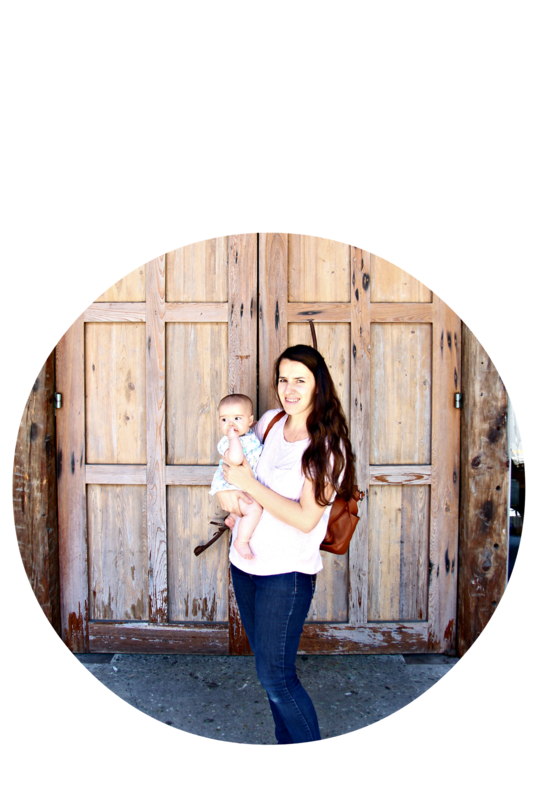 If you checked out my post 8 Time Savers for Busy Moms, you know I am all about saving time and money! Do you use your printer a lot? Do you want to save money on ink and not have to leave your home? Click on the banner below and get 50% off your first month of subscription!! If you are like me, time is your greatest commodity. There is so much on our plate as Mothers. We try to fit everything in and be there for everyone, but often find ourselves being stretched thin and overwhelmed. Most years my only request for Mother's Day is to not have to cook or clean, but you know I will be doing some form of cooking or cleaning, so things don't pile up. For a while now I have really been wanting a day to clean in peace and quiet...without kids. I know that doesn't sound glamorous, but it's amazing how much more I can get done in one hour without kids, then I can all week with them. A few times my husband has asked me if I wanted to get out of the house, and though I like getting out, I would much rather catch up with things at home, while he takes them out! Thankfully he is a pro and often takes them out so I can get a break and get things done. It is the best gift! Really! As my time is precious, I am trying harder to prioritize and make time for what really matters. Which means I need discernment to know what to say no and yes to. So often I find myself saying no to my kids when they ask me to play or give them attention, because I have to clean, make dinner, do the laundry, or just do one more thing. I'm always saying, "In a minute, or not right now, or I'll do it with you later." I do have to do these things, but I am trying to find creative ways to incorporate them in what I am doing and cut corners on those things that can wait; my kids can't, they are growing too fast! And I'm tired of having mom guilt. I am also trying to take time for myself. Just getting out in the morning to run or exercise for an hour gives me so much more energy and clarity of mind to face all that awaits me at home. And you know some girl time with other moms does a world of good! I am always so refreshed and encouraged when I get to hang out with my friends and hear, "I understand, I feel the same way, you are not alone!" I wish I could sit down with all you amazing mamas and tell you how awesome you are and that you are not alone. I wish I could give you some time by yourself to get refreshed and renewed,(or clean) but since I can't, I have joined up with 24 other bloggers to give you the gift of time...in a way. An Instant Pot!! 4 to be exact!!! So there will be 4 winners!!! 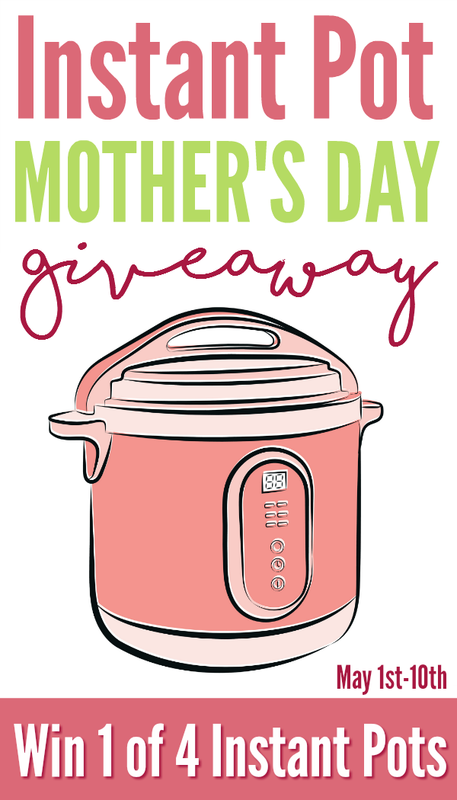 I wish I could enter the giveaway because I still need to get on the Instant Pot bandwagon. It sounds like an amazing time saver! And as a homemaker and mother, I'm all about saving time! 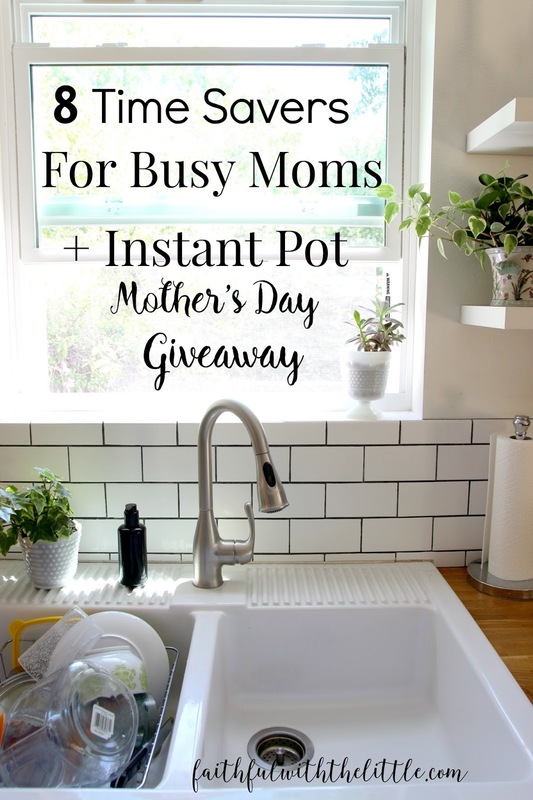 If you are looking to make the most of the time you have, check out these time savers that I have found to help me and then go and enter the giveaway to have a chance to win one of these amazing Instant Pots! Some of these time savers will take some more time at first, but I promise will save you time in the long run! 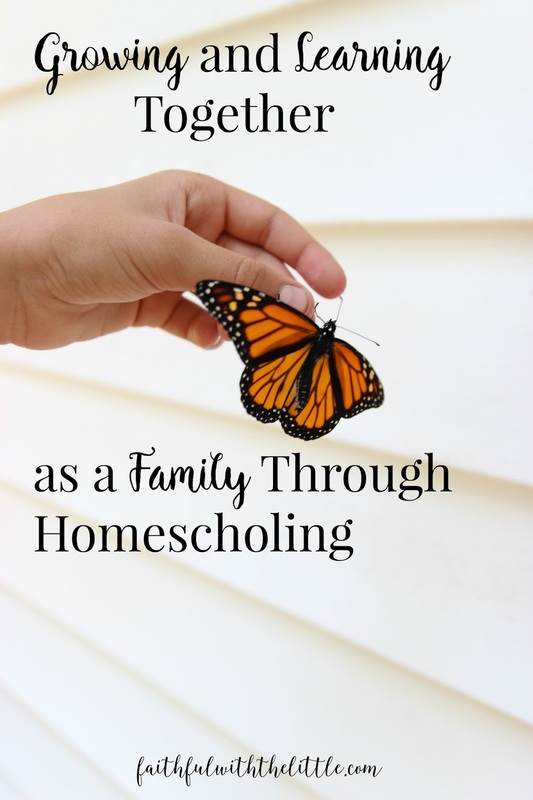 If you homeschool, this is a must! Especially if you have multiple kids. Some days we can get away with it, but I always end up frazzled when my kids are asking me, "What are we going to do next?" Lesson planning also takes some time and effort but again saves me so much more work and frustration... that I just don't need! Here is how I lesson plan for 3 kids! Do you constantly pick up after your kids all day!? I am guilty of getting upset at my kids and picking up after them all the time. I am really trying to take the time to reinforce and teach them to pick up after themselves before taking something else out. Even though they are becoming more independent and responsible, there is still so much of my cleaning that gets undone throughout the day. I have been really trying to wait to the end of the day and make it a group effort before bedtime to clean. Not only does it save me unneeded cleaning during the day, but it really helps to wake up to a somewhat clean house in the morning; to then start all over again! I know it depends on how old your children are and they will make a lot of mess in the process but when you wake up to your 11 year old making pancakes it will be well worth it! I understand that it can be really stressful having your kids help in the kitchen. Mine usually all fight over who can pour or mix first! But over time it will pay off! You know we have all at one time or another cleaned up after our kids, because it took less time than them doing it, but later on we will regret not teaching them to help out and be responsible. Whenever my kids complain about chores I always remind them that they are the ones making most of the messes! 6. Use the Slow Cooker and Instant Pot! Like I said, I don't have an Instant Pot yet, but I do use my crockpot all the time! On those days that I know are going to be crazy, I try to put everything in the crockpot in the morning, so that we will have dinner ready by the end of the day! It is such a life saver! I can't imagine how much time the Instant Pot will save you since it cooks fast, instead of slow and can be used to saute, make yogurt, steam rice and more! Plus it is made of stainless steel and uses 70% less electricity than the oven! What!? Here are some great Instant Pot recipes that I'm dying to try when I get one. And here are my favorite Slow Cooker recipes! I can't tell you how many hours I have wasted looking for things because my house is in utter chaos and I have no idea where anything is. Of course with 6 kids, losing things is bound to happen but I am trying to make a place for everything and have everything in it's place. I have been on a mission these past couple of weeks to get my house back in order after having a baby and putting an addition on our house. It has taken some time but I feel like a part of my brain can function again, and it feels so good to know where everything is! Okay, well almost! I have also taken load after load to the thrift store and thrown a ton of things away. It has been so good for me to detach myself and get rid of stuff I was holding onto, that we just don't need taking up space. Having less stuff = less time cleaning. Getting organized = less time looking for stuff = more time using stuff. One thing that has saved me a lot of time is buying personal water bottles for myself and my kids. If we don't use water bottles there ends up being a ton of cups all over the counter and nobody knows whose is whose. It's so frustrating and the dishwasher gets filled up with all of our cups at once. A disposable product that I can't live without any more are paper plates. Not only do we eat breakfast lunch and dinner but someone is always hungry in between and is constantly taking out plates. Having some paper plates handy for when we are in a rush or are just tired of doing dishes is worth a little extra money. And if you think of it you are really saving money and water on all those dishes you would be doing! I also buy aluminum pans in bulk when cooking meals. Not only are they great when taking someone a meal but also for making freezer meals and for when you just don't want to clean another pan. I hope these tips and time savers were helpful and now without further ado...The Giveaway! Giveaway ends May 10th at 11:59pm EDT. The winner will have 48 hours to respond to email to claim prize. Please be sure to read the Terms & Conditions upon entering the giveaway. The whole dynamic of our living space has changed... for the better. It's so much fun fixing everything up, but it's exhausting also. I still feel like I am cleaning up construction dust. I can't tell you how many trips I have made to the thrift store. You would think that now that we have more space there would be a place for everything, but I am finding myself wanting to simplify even more and truly question what I bring into our home. Notice: This is a sponsored post for RUG PADS USA. All thoughts and opinions are uniquely my own. Since half of our house is brand new, I am trying to get the other half not looking so drab. My head has been spinning with all the projects that have to be done and that I want to do. I am trying not to get overwhelmed and tackle one thing at a time. And of course there is this little thing called money. Why do I have to have such expensive taste? I also have to remind myself that I did just have a baby and that I can only do so much. It's so hard though when I see all the projects that need to be done. The rug we had before was not the coziest to lay on and all the dirt would go right through it. It was also a pain to clean. That might be because our old vacuum broke and I literally took the rug outside and shook it. 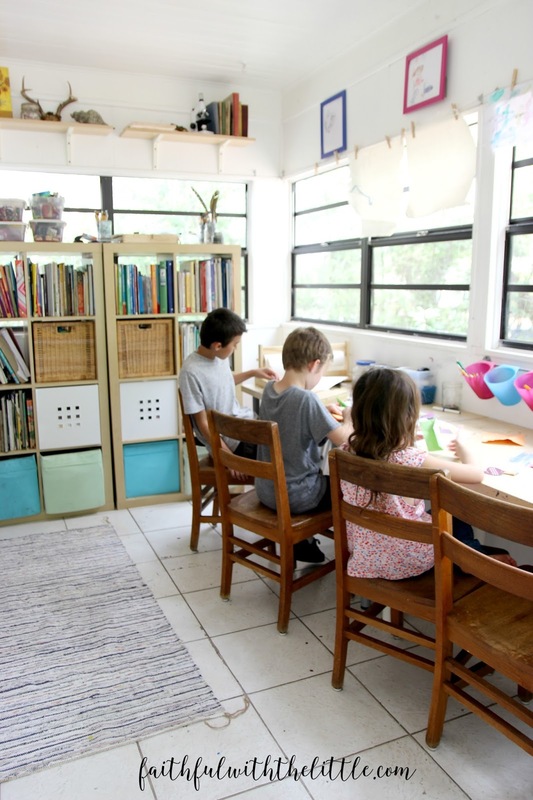 I know with 6 kids and a husband, dirt will always be an inevitable problem, but I am trying to get sneaky and smart about the choices I make for our home. With all the wear and tear we put on things, I am trying to make sure I am investing in pieces that will last, not just buying them because they are cheap. If you have boys you know what I mean. Why are boys so destructive!?!? When I was trying to decide which kind of rug I was going to buy, I tried to keep in mind that it would indeed eventually get dirty. Though I often fool myself into thinking that things will stay the way they look when I bought them. I wanted to find something that would hide the dirt as much as possible, while still being aesthetically pleasing to the eye and fit my style. I was so excited when I found a rug that I knew would work for our family. After I bought it, I wanted to find a rug pad also to protect our floor and make it more comfortable for all the living that would happen on that carpet. Of course the first week we got the rug, Luke christened it by peeing and throwing up on it. ;( You know just the normal stuff! Nothing that a little elbow grease and cleaning solution couldn't remedy. As our rug was being shipped to our house, I was contacted by Rug Pad USA. to review their rugs, as rugs are a bit more pricey then rug pads. But as I did indeed need a rug pad, I was happy to be asked to review their pads. The last pad I purchased ruined a portion of our wood floors, so I really was excited to get a product that would protect our floors, not harm them. And their prices really are very reasonable! Unlike most rug pads which are made out of PVC, plastic and are filled with toxic chemicals. Rug Pads USA are all made with ECO-friendly materials and made right here in the USA from ethical sources; hence the USA part. I picked out the Contour Lock pad for wood floors. I told them the size of my rug and they cut it to fit my rug's exact dimensions. It arrived very soon after I ordered it. I couldn't wait to get my rug down on the floor! The first thing the kids asked me was, why I was putting the rug pad down first and what it was for. I explained to them that rugs usually need a pad to go under them to protect the floor and give it more cushion for walking and playing on. Ellie explained it best, " It's like underwear for the carpet!" Yep, that pretty much sums it up. Something that no one else sees, but is a very vital part of your wardrobe;P I love how kids think! We have had the new rug and rug pad for over a month now and I am so happy with my choices! Not only does the rug still look brand new and hide everything, but the rug pad has definitely made it even better. I love getting down on the floor with Ahava and the kids now. There is just something about a sweet baby lying on the floor. Not only is the extra padding super comfy but not one iota of dirt has gotten under the rug; which has been a pet peeve of mine in the past. Because who really wants to be taking up your rug all the time to shake it out and sweep piles of dirt from under it? Not this mama! It's amazing how our new rug(and rug pad) has transformed our living space. It adds so much color and pattern to it. It just makes the room feel whole and welcoming! And though we might not see the rug pad, we feel it, and it makes a big difference. Like Ellie concluded; it's like a good pair of underwear, that you forget is there but is obviously vital! As you can see we do a lot of living (and sleeping) on our carpet. Since our couch is getting too small for all of us, it makes do as another spot to sit. Now all we need is a new couch! Ha! It's always something! Use the code REBEKAH123 to take an additional 5% off Rug Pad USA's ongoing sales! Cause you know I'm all about the sales, especially when they are for quality products! This code will last for a month from today! What are some ways you are making your home inviting and comfortable? Do your kids destroy everything also? Do your struggle with making decisions for the products you bring into your home?